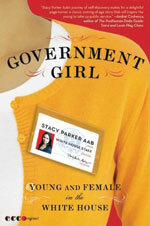 Stacy Parker Aab, BA ’96, wrote Government Girl (Ecco, 2010), a book based on her experience as an intern and as a full-time staff member in the White House under the Clinton administration. Aab worked as an intern throughout her four years at GW and returned from a yearlong fellowship at Oxford University as a Shapiro Fellow to work as Presidential Aide Paul Begala’s assistant. She has also written two screenplays and a stage play mostly about the battles between White House staff and Secret Service agents. Ryfie Amkraut, MBA ’04, finished her first fiction novel, Girl: Classified. Amkraut has worked as a government consultant for nine years and was an active participant on the 2009 MBA Reunion Committee. Janetta Rebold Benton, MA ’69, wrote Materials, Methods, and Masterpieces of Medieval Art (Praeger, 2009). Her book provides a comprehensive analysis of the work done by artists in Western Europe during the Middle Ages and features 76 illustrations. This is Benton’s eighth book about art history. Veteran high school teacher John M. Bjorge, MA ’84, wrote It’s Really Hard to Love You When You Spit on My Floor: A Guide to Teaching with Spirit (Viking, 2008). The practical guide and workbook for teachers uses a combination of personal anecdotes and reflective exercises to help teachers interact with their students and thrive in the classroom. Bjorge has taught high school for the past 15 years and previously served as a U.S. naval officer. Steven Cunningham, MD ’01, wrote Dinosaur Name Poems: Poemas De Nombres De Dinosaurios (Three Conditions Press, 2009), a bilingual children’s book that tackles dinosaur names from A to V. Cunningham received the Moonbeam Award in Children’s Poetry and the Spanish Language Book categories. Cunningham holds a faculty-fellowship position at Johns Hopkins Department of Surgery in Baltimore. David Dosa, MD ’98, wrote his first book, Making Rounds with Oscar: The Extraordinary Gift of an Ordinary Cat (Hyperion, 2010). The nonfiction book is about Dosa’s experiences working with the gifted cat Oscar at the Steere House nursing home in Providence, R.I. Oscar, Dosa writes, knew instinctively when the end of life was near. Dosa is a geriatrician and assistant professor of medicine at the Warren Alpert Medical School of Brown University. He lives with his family in Barrington, R.I.
Sisters Singing (Wild Girl Publishing, 2009), edited by Carolyn Brigit Flynn, BA ’82, is a collection of poetry, prayers, and stories from more than 100 writers. The works unveil spirituality as it is lived and experienced by women today. 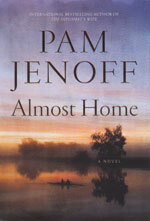 International bestselling author Pam Jenoff, BA ’92, wrote a new novel called Almost Home (Simon & Schuster, 2009). The book tells the story of American Jordan Weiss, a State Department intelligence officer, who struggles to find the truth surrounding the death of her boyfriend in England nearly a decade before. The novel sweeps readers across England and back in time to reveal the dangers that lie in the wake of war. James McGrath Morris, MEd ’00, wrote Pulitzer: A Life in Politics, Print, and Power (Harper, 2010). Morris’s biography presents a colorful and critical account of the life of Joseph Pulitzer and details Pulitzer’s use of the press in his battles for reform. Irvin Yalom, BS ’48, BA ’53, was a guest at the Austrian reading project Eine Stadt. Ein Buch (One city. One book). About 100,000 copies of Yalom’s book When Nietzche Wept (Harper Perennial, 2005) were given to the citizens of Vienna. The book tells the story of a fictional encounter of the philosopher Friedrich Nietzsche and one of the co-founders of psychoanalysis, Josef Breuer. Yalom is professor emeritus at Stanford University.